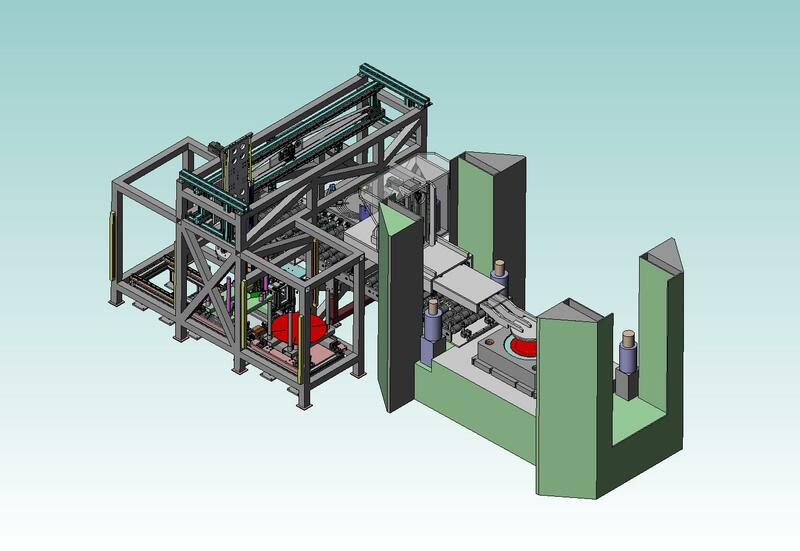 Here you can see the construction drawing of one of our latest Feeder systems, the LE H 700-2/V200. The plant supports a max. Blank aperture of 725mm x 4mm, which results in a weight of about 12 kg. The parts are received from the linearfeeder and the finished product is put out. The change of Magazines is completely automatically resolved. Additionally, a Magazine on Reserve is available, which supports in the time of the Magazine-change.